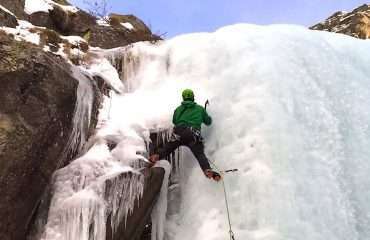 Hotel based Chamonix & Cogne Ice Climbing Course. 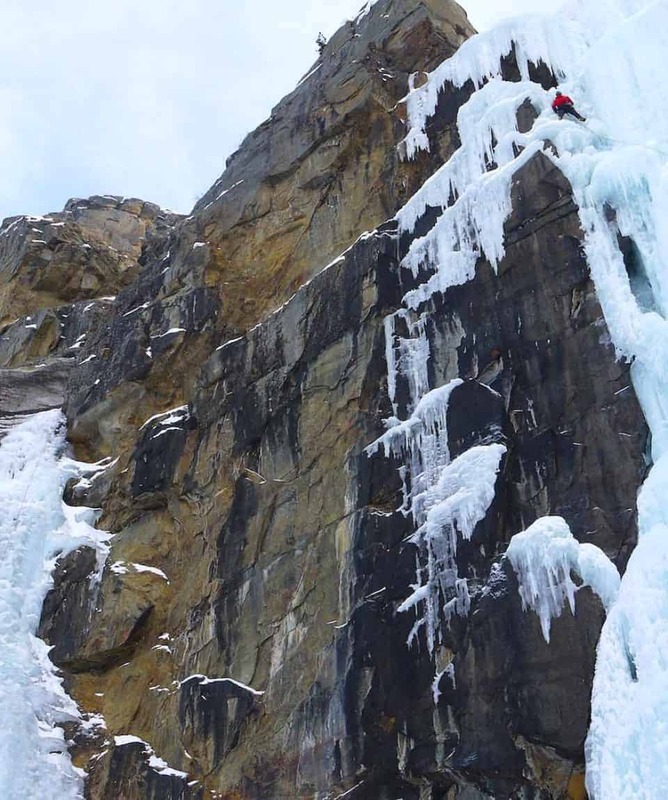 The fast track to learning ice climbing or improving your ice climbing skills. 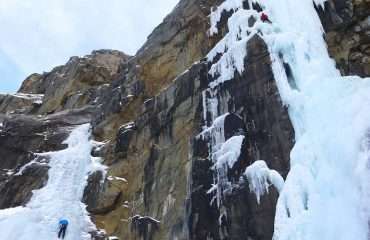 Learn ice climbing from & be guided by the professionals. 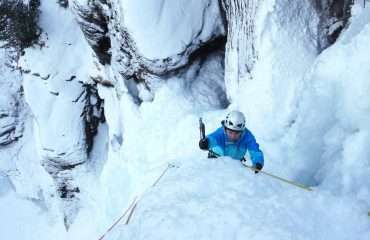 All about the Chamonix Ice Climbing Course, 5 Days, Chamonix & Cogne Ice Climbing. 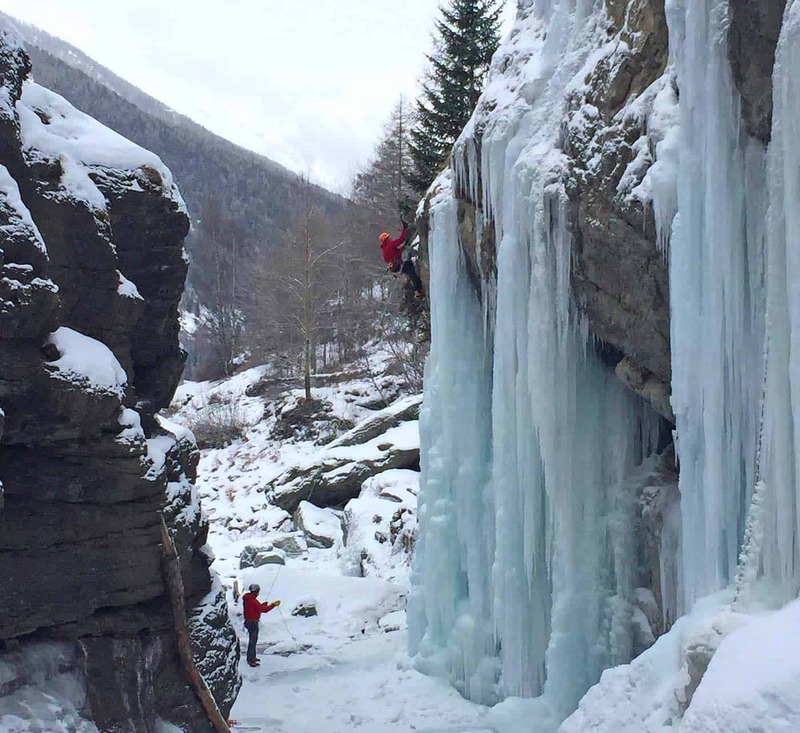 k long Chamonix ice climbing course takes place out of Chamonix and Italy’s Cogne Valley. 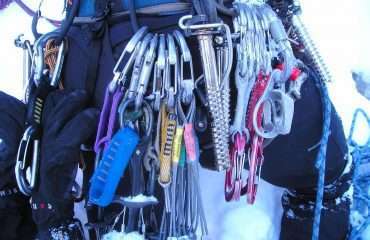 The duration is designed to enable you to develop good basic skills from which to launch your ice climbing obsession, should you so wish! 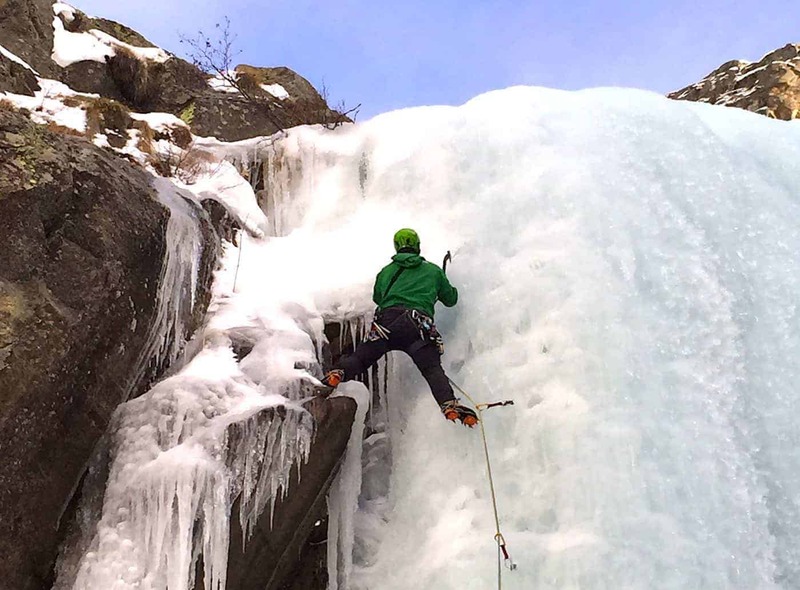 The Chamonix ice climbing courses are ideal for climbers who want to progress their ice climbing and enjoy the variety of routes on offer. You can come with a friend for 1:2 climbing with a guide, or by yourself for 1:1 climbing. You can decide whether to utilise the time for learning and developing your ice climbing skills or you may simply want to get some routes under your belt. You’ll be surprised with how well you progress. 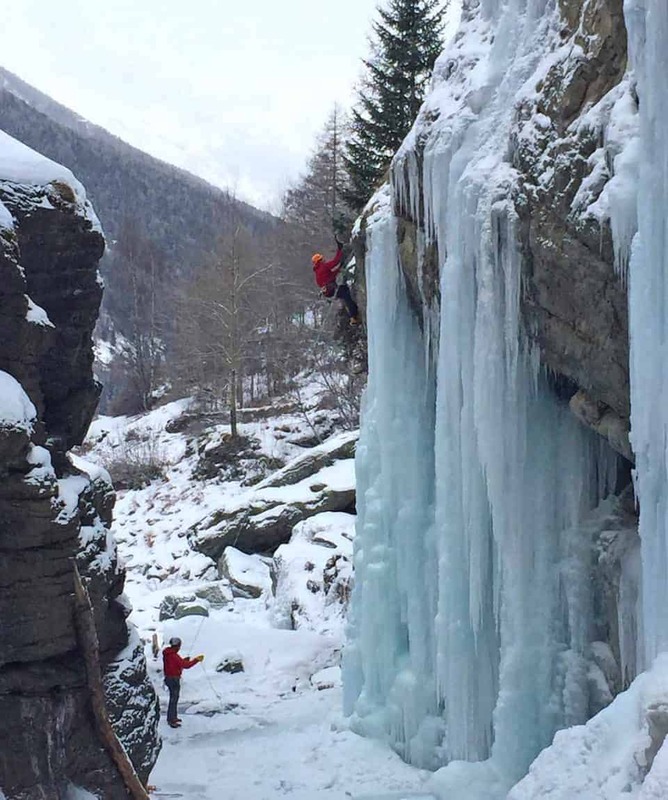 You will enjoy some of the best ice climbing venues on earth when you participate in our Chamonix and Cogne Ice Climbing Week! 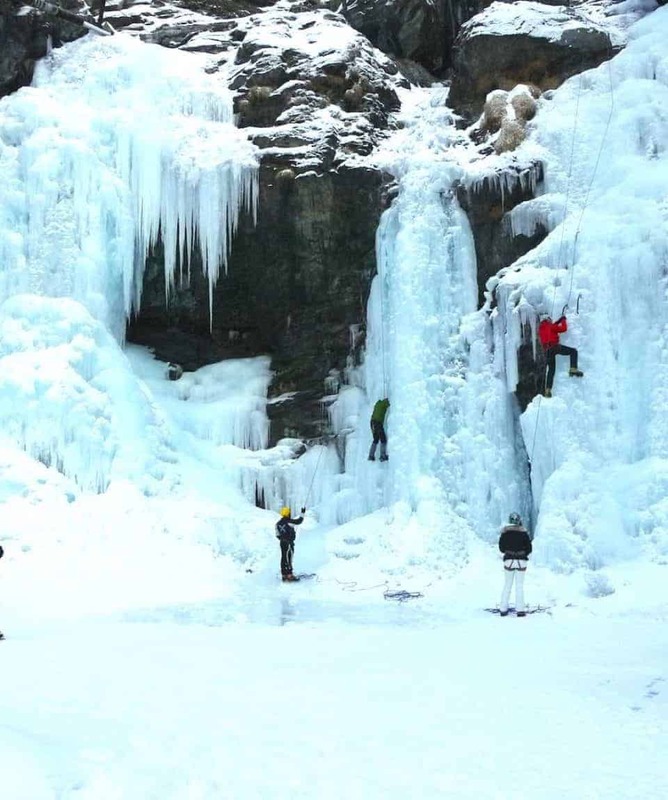 Envisage staying in charming local hotels with numerous ice climbing venues of all levels just out the door! 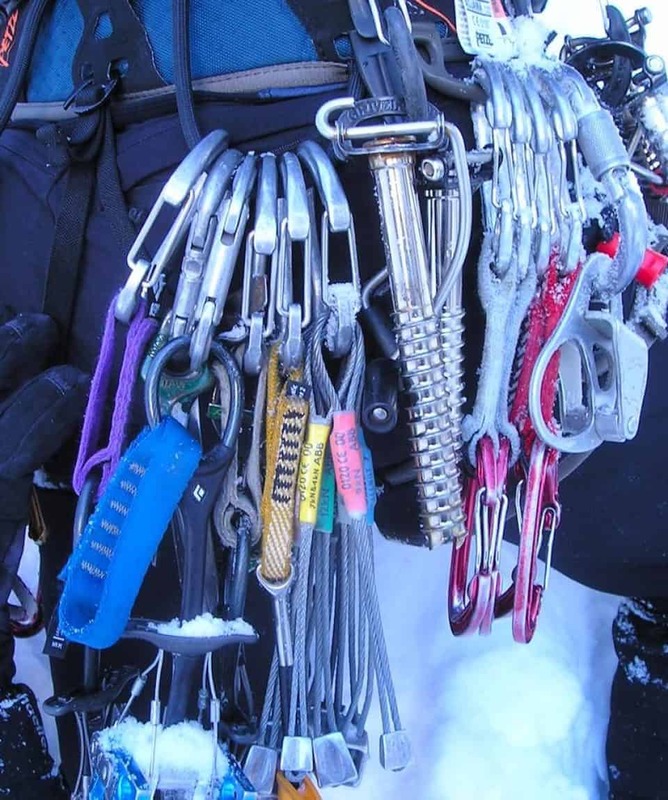 We begin the week by sorting your equipment in Chamonix before travelling a short distance into the famous Cogne region in Italy. 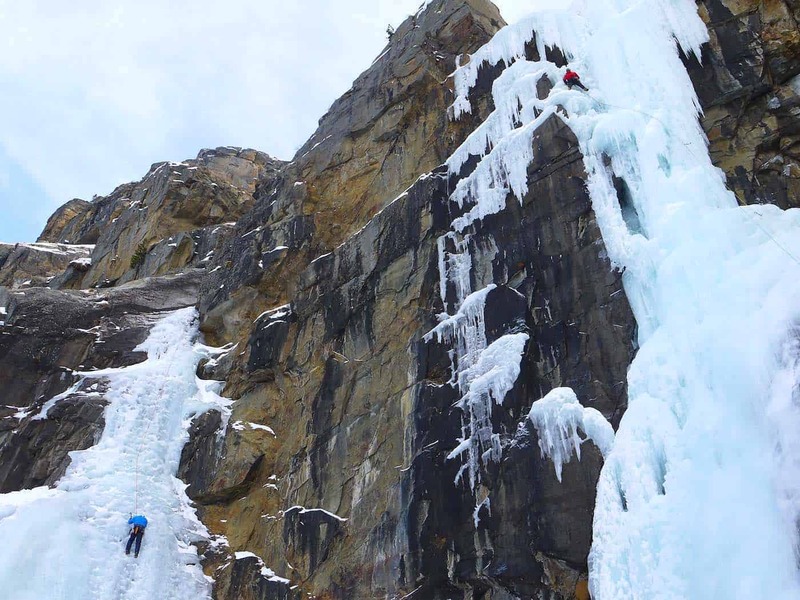 This area presents us with a huge variety of ice climbing routes leaving us spoilt for choice when it comes to the daily programme. We start out on easier routes and gradually build up the intensity to suit your development during the week. Without fail, people love to tell us that the routes that looked intimidating at the start of the week are fun climbs by the end! 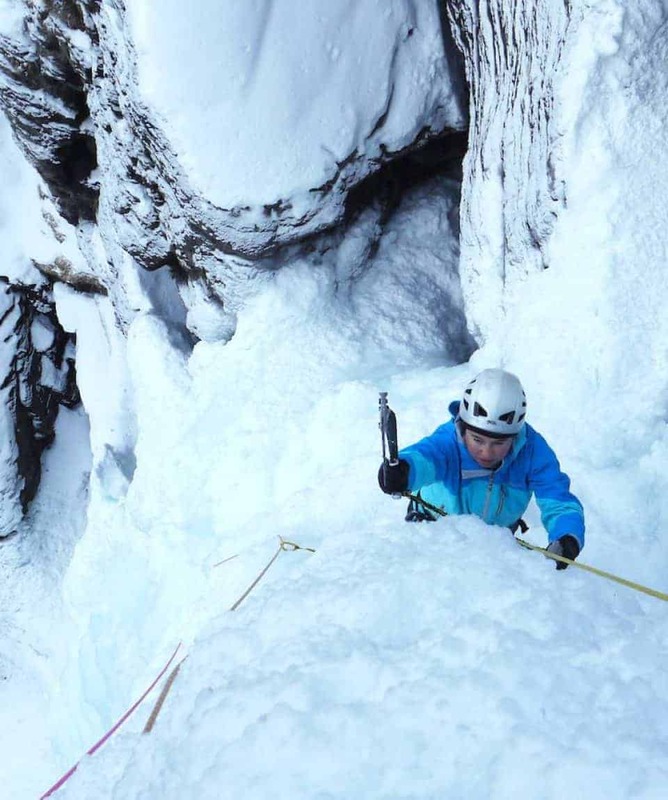 You can decide whether to utilise the week for learning ice climbing and developing your skills, or you may simply want to build up your ice climbing experience on different routes and push your ice climbing standard. 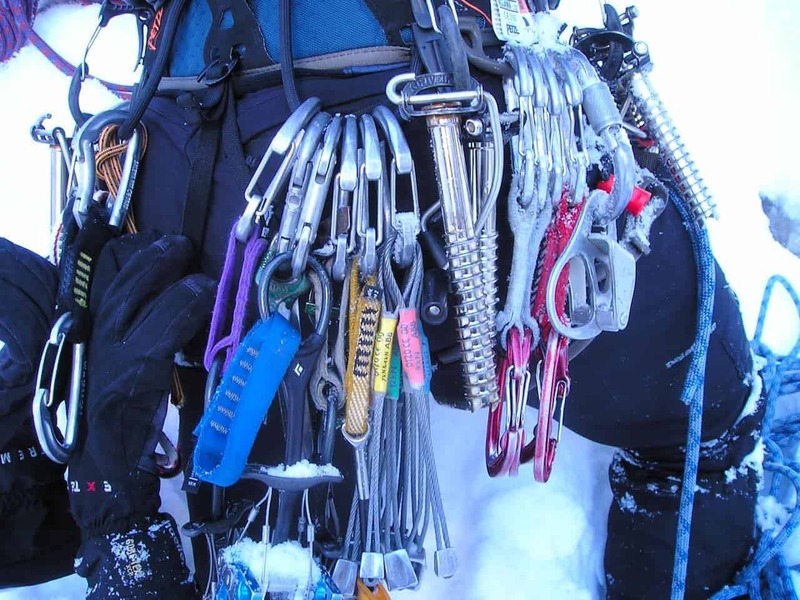 Many climbers who return each winter will have their guide select routes of ever increasing difficulty as their confidence develops. 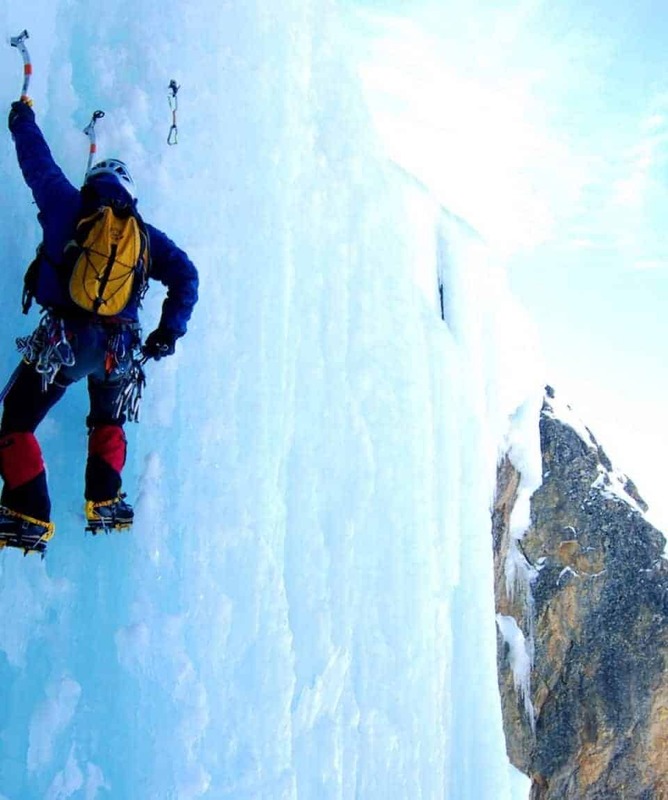 Others enjoy learning ice climbing skills to enable them to progress their own leading capability, where the guide will lead the more difficult pitches on a longer route. You’ll be surprised with how well you progress during the week and your guide will work with you to help you achieve your goals. 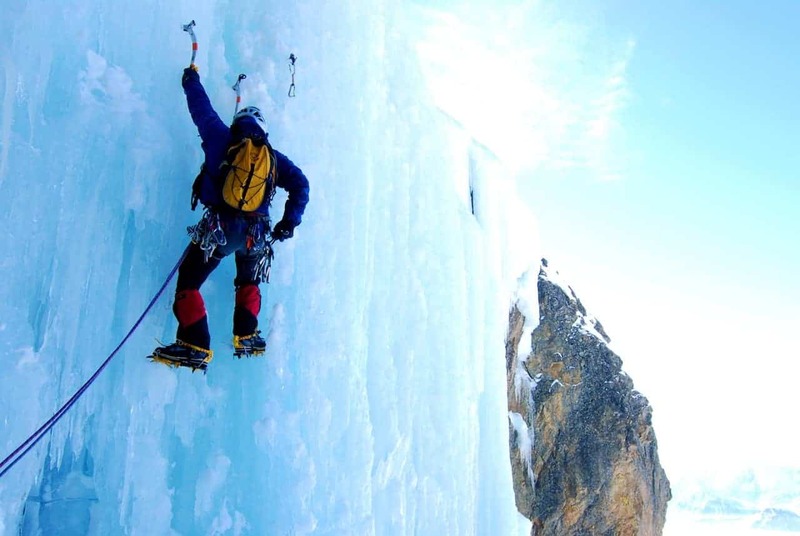 Whichever approach you decide, there is a lot of flexibility with the Ice Climbing Week. You can come with a friend for 1:2 climbing with a guide or by yourself for climbing on a 1:1 ratio. At the end of each day, you return to your hotel for a beer and wholesome meal at the climber friendly family-run hotels in Chamonix and Cogne. Rooms are in twin-shared B&B basis in Chamonix, whereas an evening meal is also provided in Cogne. We provide lunches throughout the course. Should you desire a higher level of accommodation, we can upgrade you to single accommodation or a higher class of hotel to whatever standard you prefer. Day 0. Sunday Arrive into Chamonix. Hotel night. Day 1. Monday The team meets at 8:00am at the hotel for a briefing. Your guide will go over the activities for the week and answer any last minute questions. After organising any gear you need to hire, we drive through the Mont Blanc Tunnel to the Cogne Valley in Italy. 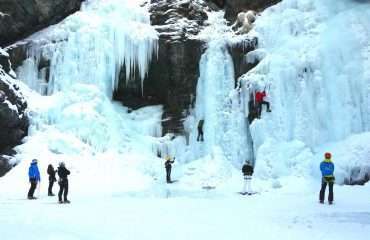 We will find one of the many venues in the region to practice ice climbing techniques and get warmed up for the week. Overnight in Cogne Hotel. Day 2. Tuesday Although there are some very challenging mixed climbs in the region such as the` X Files’; one of the first M10s climbed in 1997 by the eccentric Stevie Haston, there is also an abundance of climbs ranging from the easy training routes through to advanced climbs! Perhaps today you may attempt Lillaz Gully, a 200m Grade 4. Overnight in Cogne Hotel. Day 3. Wednesday Walk half an hour to attempt one of the many routes close to the hotel. There are several routes that are longer but of an easier grade, which help you to consolidate your skills without straining the body too much. Overnight in Cogne Hotel. Day 4. 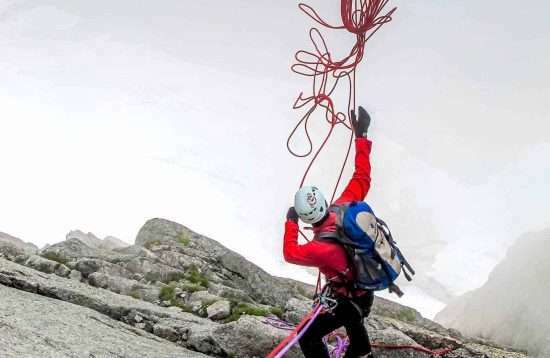 Thursday Perhaps today you may tackle a route such as Patri Classica, a divine 4 pitch route that flows up a series of walls culminating in a stunning last pitch. The trail to the base follows the Valnontey Valley for just over an hour to the base, so you are well warmed up when you arrive. Overnight in Cogne Hotel. Day 5. Friday Today you will enjoy our last climbs in Cogne Valley before driving back to Chamonix late in the afternoon. Perhaps you will be leading something you have had your eye on to finish the week off on! Perhaps you may decide to climb Cold Couloir, one of the most famous long routes (400m, Grade 4+). Finally, it is time to pack up the kit and return to Chamonix. Chamonix hotel night and time to celebrate a great week on the ice. Day 6. Saturday Breakfast and a chance to exchange photos, before departing for home. 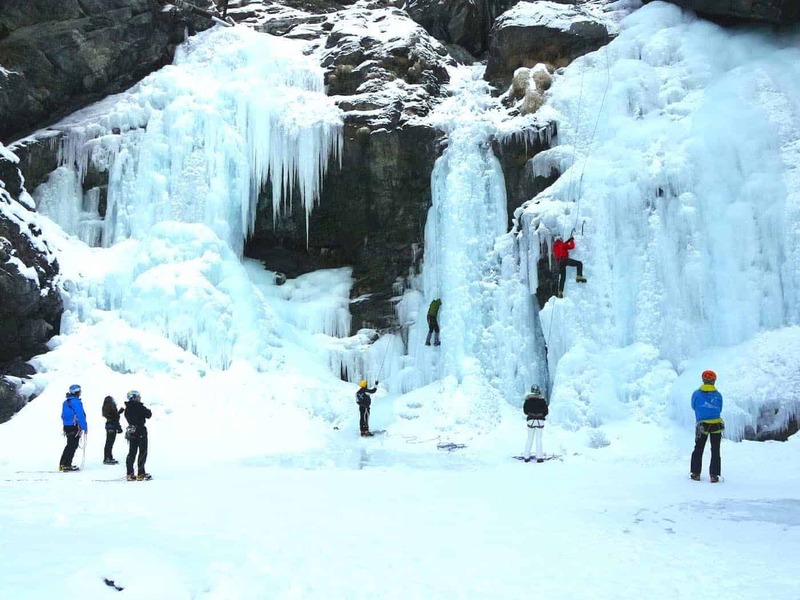 Climbing Season We operate our Ice Climbing Weeks during January and February. In March and April we can still climb in some areas, so contact us for private guiding rates at these times. 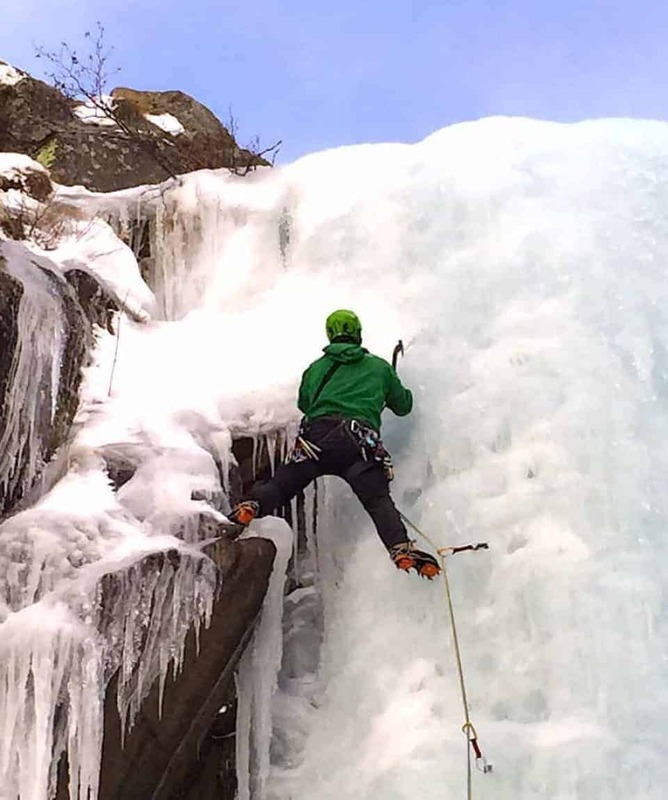 Please note: You can book a Chamonix & Cogne Ice Climbing Week on any dates that best suit you during the climbing season from December to April depending on guide availability on a 1:1 or 1:2 ratio. Although venues may vary early and late season depending on conditions. Additional costs may be incurred due to additional travel and accommodation costs to alternate venues. 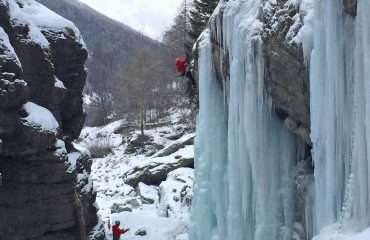 We commence and finish our 5 Day Ice Climbing Week in Chamonix, France. The closest international airport is in Geneva, just over the border in Switzerland. Regular shuttles operate up to Chamonix and the trip takes about 1.5 hours. We can help you arrange shuttle transport and your shuttle driver will drop you at our accommodation. At the completion of the course, the shuttle can take you back to the airport. The shuttle transfers are at your own cost. 6 nights Hotel B&B on twin share basis including both the night prior to and final night of Cogne Ice Climbing course. 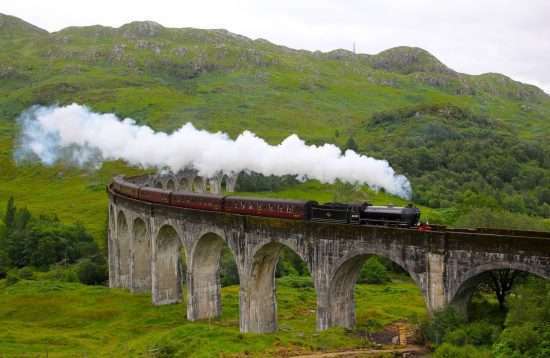 Accommodation is provided on a twin share Hotel B&B basis from Sunday evening through to the following Saturday morning after breakfast. The 2-3 star hotel that we utilise in Chamonix is clean and comfortable and includes breakfast. When we are in Cogne, we stay in a convivial hotel that includes evening meals and breakfast. If you want single accommodation or a higher standard of accommodation, we can arrange this for you should you wish. Please enquire about options and costs at the time of booking. You will be provided with breakfasts and packed lunches for the duration of the week. You will be responsible for your evening meals for the 2 nights in Chamonix, while all meals are included on the 4 nights when in Cogne. In Chamonix, you can experience the exciting culinary options available as there are many restaurants and bars within close walking distance to the hotel that provide a variety of foods to suit your tastes, or you can elect to eat at the hotel. 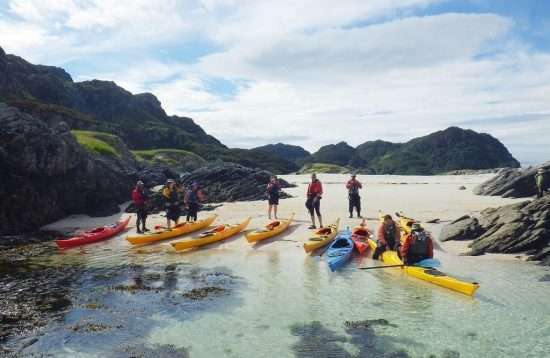 We provide a packed lunch throughout the trip but it is a good idea to bring a small selection of your favourite snack food and hydration drinks with you to ensure you are fuelled by your preferred brands. Actual amounts of snacks to bring will depend on your consumption, but 2 per day in addition to the lunches we provide would seem reasonable. If you have any special dietary requirements, please advise us at the time of registration. If your dietary requirements are especially strict you are advised to bring a sufficient supply of your required food types with you to ensure you are provided for. Any additional food, beverages or meals you purchase that are not mentioned in the inclusions will be at your own expense.